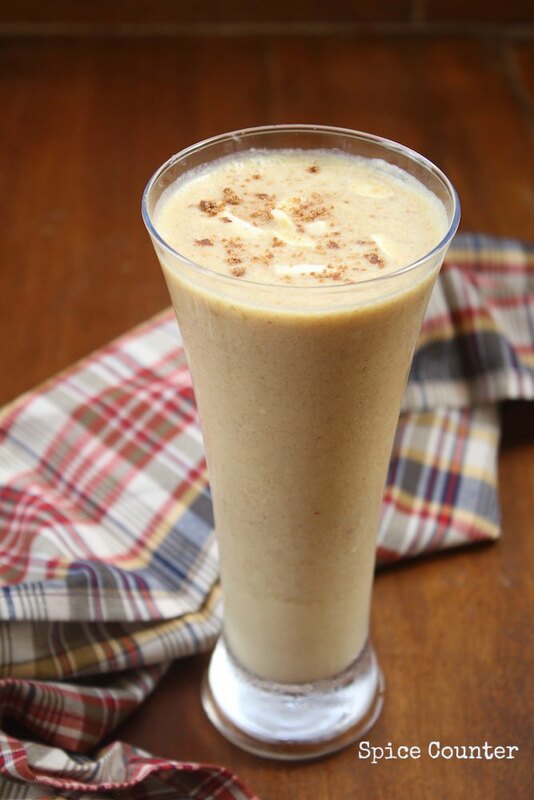 Dates & Banana shake is a very refreshing drink and a personal favourite of mine. It is very easy to make and takes under 10 minutes to prepare it. Mixed with chopped almonds and cashews and sweetened with dates, this milkshake is absolutely divine. You can make it more sinful by topping it with whipped cream or ice cream. However, I like it plain & simple. Absolutely divine and refreshing drink! Place half a cup of milk & the dates in a pan and heat it. Boil the milk till the dates are soft. Once the date mixture has cooled down blend it very well. Now add the remaining milk, banana and horlicks to the blender and blend it again. Once it is well combined transfer to a tall glass. Top it with cashews and almonds.